Picture this. Lights dim. 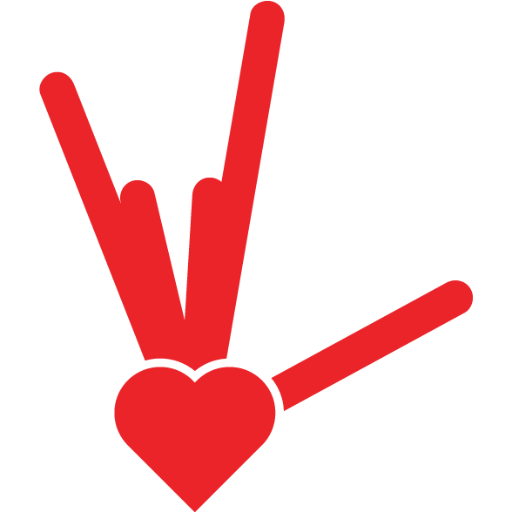 A momentous hush. Bells sounding as the curtains rise. The audience embarking on a collective gasp. And then immediately they smile. A feeling that is foreign and yet stays on even as the marquee closes. 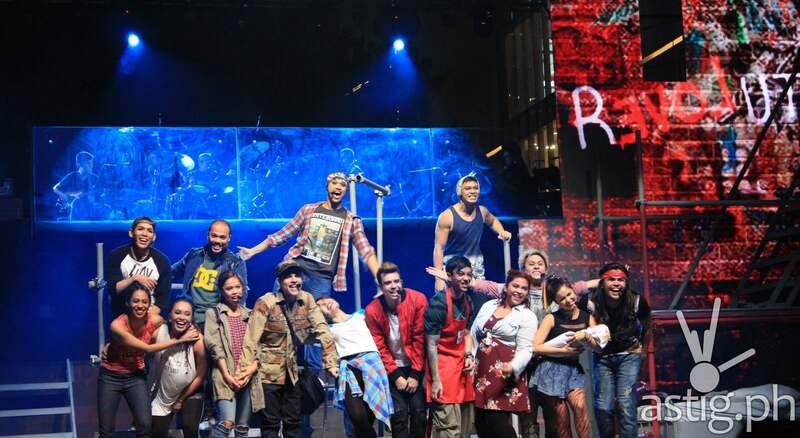 Staged all over the world from Germany to Korea, Mexico to Australia, one of Broadway’s most beloved hit musicals is finally in Manila. Welcome, ladies and gents, to the La Cage Aux Folles! Now imagine this. A row of beautiful cagelles, calling to mind a chorus line of sorts – all breathtaking and gorgeous as corps de ballet. Whether in exotic behest or as can-can dancers from the Montmartre, they summon a kind of panache, style, and pizazz that has made Ben Brantley of The New York Times consider this show a “triumph of musical theater… an old-fashioned, feel-good musical (which “La Cage” defiantly is)” that demands a leap of faith from its audiences, here and around the world. Based on the 1973 French play by Jean Poiret, this brave musical hit in which the movie Birdcage was based, focuses on the love story between gay couple Georges who manages a nightclub at Saint-Tropez and his partner Albin who is the club’s star attraction. The action ensues when Georges’ son Jean-Michel brings home his fiancée’s ultra-conservative parents to meet them. Mayhem erupts, hilarity surfaces, and family ties and personal beliefs are set to the tempest. 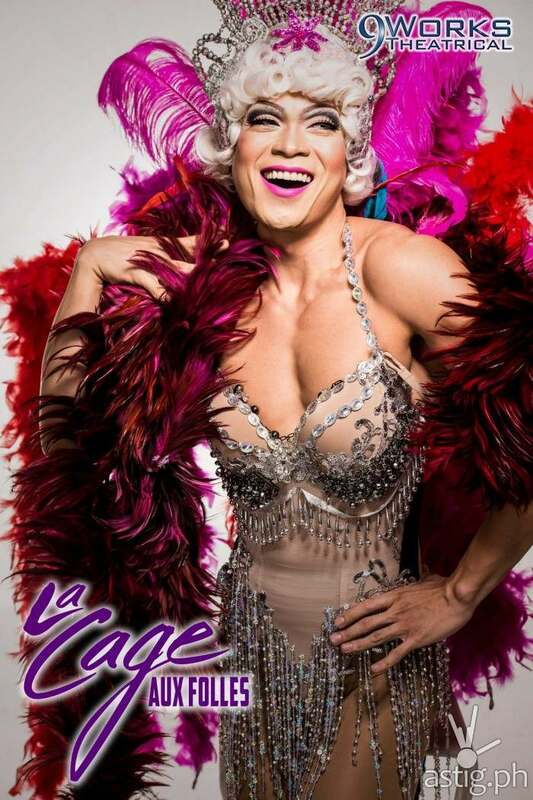 “With musicals such as Caredivas, Zsa Zsa Zaturnnah, and Priscilla: Queen of the Desert being well-received by our local audiences, La Cage Aux Folles arrives at an opportune time when conversation is high and ripe about the gay community,” shares 9 Works Theatrical artistic director Robbie Guevara. 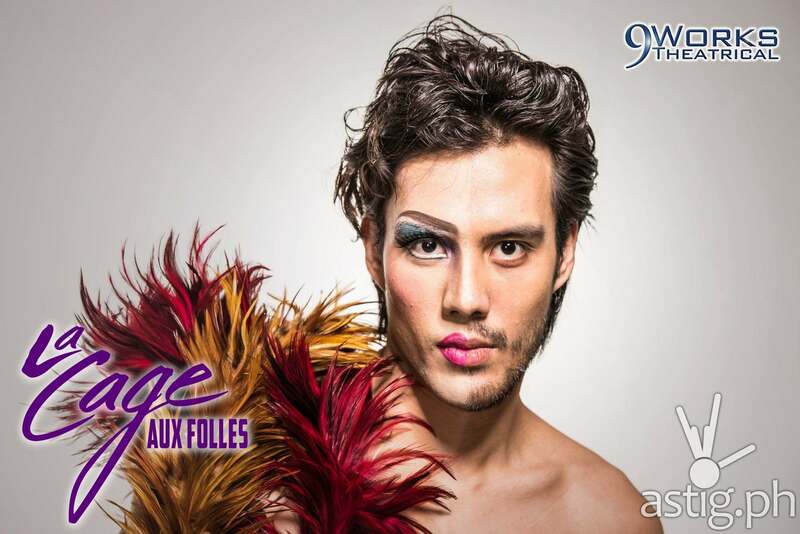 La Cage Aux Folles anthemic tune, “I Am What I Am” has become a rallying cry of sorts for the gay community, having been covered by the likes of Shirley Bassey and Gloria Gaynor which eventually went on to top the UK charts. 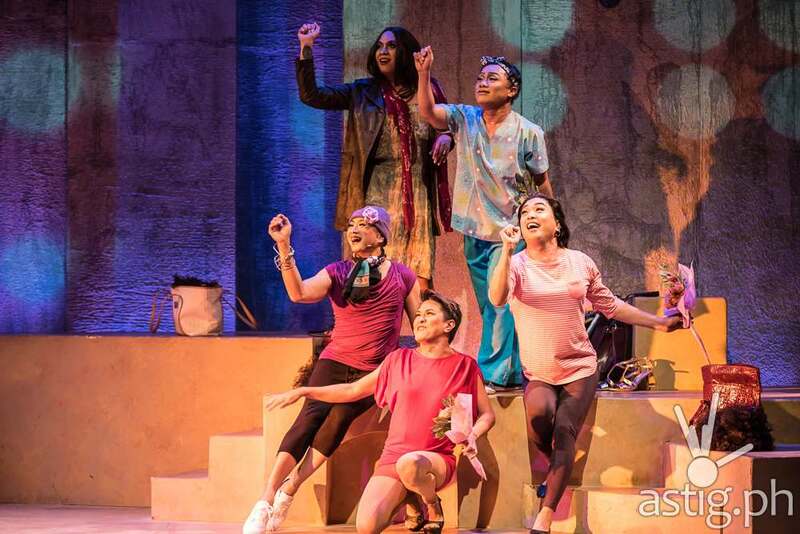 For this production, the Philstage Gawad Buhay award-winning theater company has tapped two of Philippine theater’s finest stars to breathe new life into Georges and Albin. 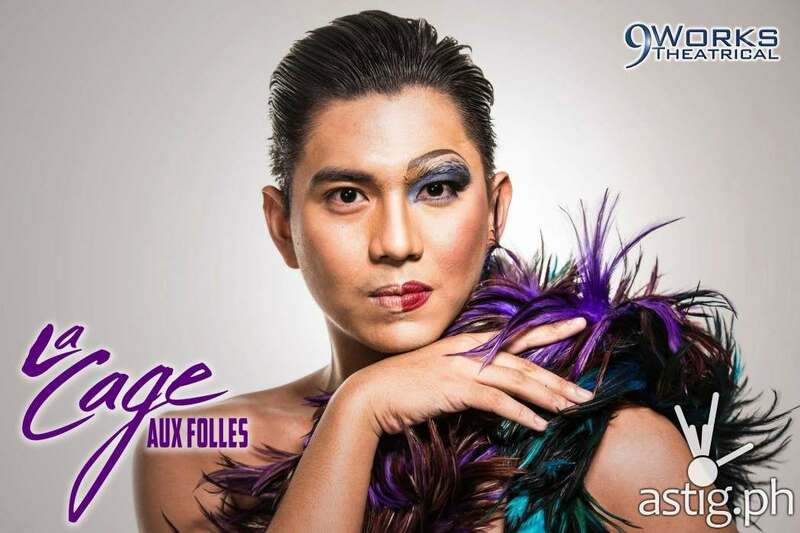 First the multi-awarded theater actor and director, Audie Gemora as the flamboyant and larger than life Albin. You will remember Audie’s star turn in The Producers as the cross-dressing, washed-up director Roger de Bris, ushering one of the most memorable performances and stage moments of the 2013 theatrical season. And second, star of stage and screen, showbiz royalty, and one of the entertainment scene’s most well-loved and respected personalities, Michael de Mesa in the role of the sensitive and loving Georges. Like Gemora, he has had his fair share of memorable roles on stage, most notably as Tracy’s mom Edna Turnblad in the musical Hairspray. 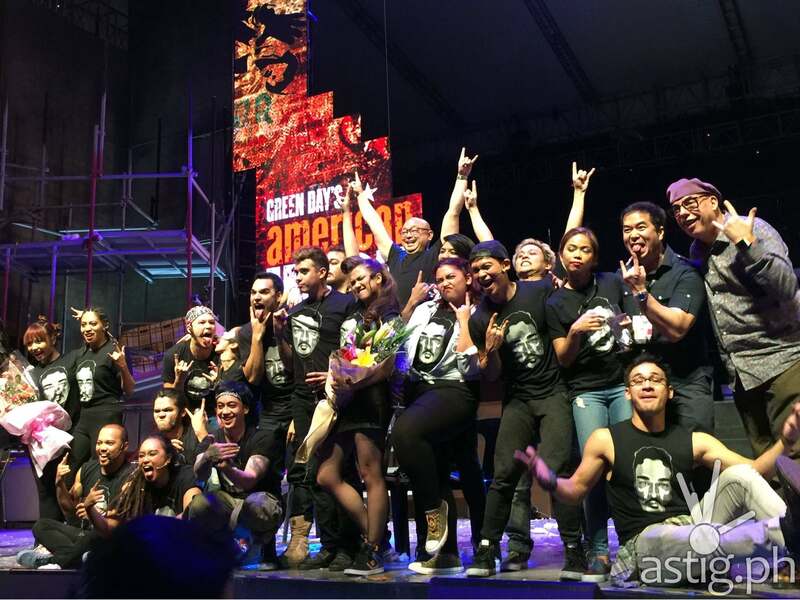 Joining Audie and Michael is a host of the who’s who of Philippine stage and screen. Miss Saigon alumnus Raul Montesa and star of West End and theater stalwart Sheila Francisco play the ultra conservative Monsieur Edouard Dindon and Madame Marie Dindon, respectively. Miss Saigon alumna Analin Bantug plays restaurant owner Jacqueline while theater veteran Noel Rayos plays Jacob, Albin’s personal assistant and butler. 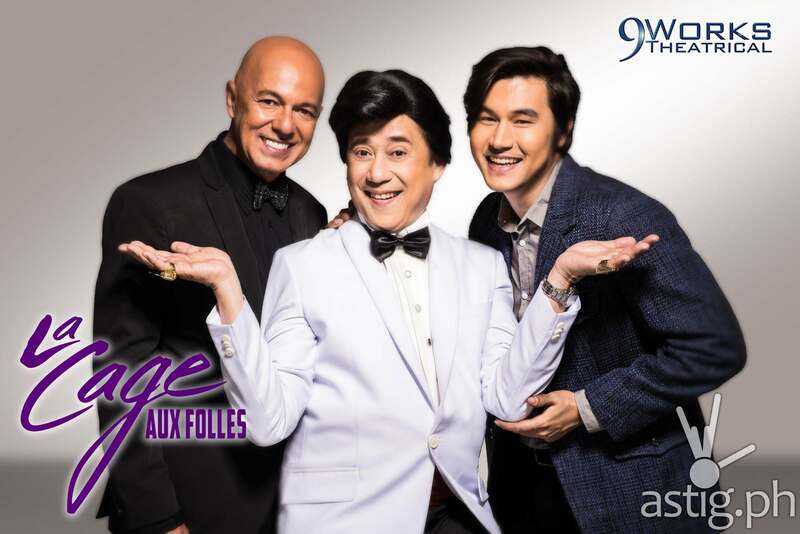 Following his foray into musical theater via 9 Works Theatrical’s Grease, GMA Kapuso actor Steven Silva continues his thespian streak as Jean-Michel, Georges’ son from a confused youthful liaison he had many years ago. He will be joined by theater newcomers but by no means new to the world of the performing arts – Missy Macuja-Elizalde daughter of prima ballerina Liza Macuja, who is herself a rising star of the ballet stage, and Joni Galeste, a soloist for the Philippine Ballet Theater. They will be alternating in the role of Anne Dindon, Jean-Michel’s fiancée. Transforming as Les Cagelles is a cross-section of performers from the contemporary dance world, theater, and showbiz, among which are JP Basco, Mara Celine Javier, Randi de Guzman, Carlos Deriada, Chesko Rodriguez, Dindo Divinagracia, Cheeno Macaraig, James Stacey and TV and film actor Rafa Siguion-Reyna in a role unlike anything you’ve seen him play before. The musical will be directed by Robbie Guevara, with scenic and costume design by Mio Infante, and special participation of the Fashion Designers Association of the Philippines; choreography by Arnold Trinidad, PJ Rebullida, and Yek Barlongay; musical direction by Joseph Tolentino and Sweet Plantado-Tiongson; lighting design by Martin Esteva; technical direction by Dong Calingacion; hair and makeup design by Myrene Santos; and additional costume execution by Twinkle Zamora; photography by Leo Castillo and graphic design by Larry Palma. Heading the production team is executive producer Santi Santamaria, with Anna Santamaria as company manager; Toff de Venecia as PR director; GM Hernandez as marketing manager; Jonjon Martin and Issa Tuason as PR managers; Randy Salvador as production manager; and Mikey Garcia as stage manager. 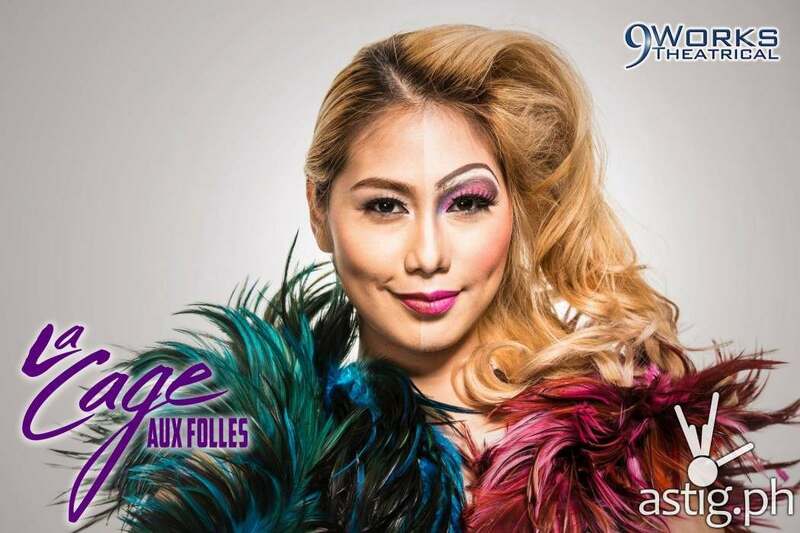 La Cage Aux Folles will be shown at the RCBC Plaza, Makati on February 28, March 1, 7, 8, 21, 22, 27, 28, 29, 2015, with Friday and Saturday galas at 8:00pm, Saturday matinees at 3:30pm, and Sunday matinees at 4:00pm.